You have a cleaning problem? Do not panic! Pro Cleaners Melbourne as a dynamic and innovative cleaning company is the ideal cleaning solution. Do not waste your time for cleaning! Leave the job to our professionals and enjoy your free time spending it with your family, pets, hobbies or friends. Our organization is operating in Melbourne offering a range of cleaning services, from trained and vetted staff at competitive rates. Our experienced and qualified professional cleaners ensure all the highest standard to the work we carry out. Their professional skills could meet all your requirements. 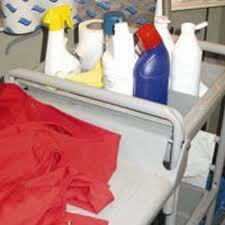 We guarantee to work only with professional cleaning equipment and high quality cleaning materials. Our customers are very important to us. We do our best to build a trusting and honest relationship with our customers, based on mutual respect and openness. In order to satisfy the big expectations of our consumers and to meet their varied requirements Pro Cleaners Melbourne provides high quality cleaning services to the large number of clients across Melbourne. Do not worry about your cleaning problem anymore, get in touch with our friendly office staff by calling on (03) 9021 6889or complete our Request a cleaning service online form and we’ll be there very soon completely ready to help you. In the meantime you can check our online price list and you’ll see that’s worth.